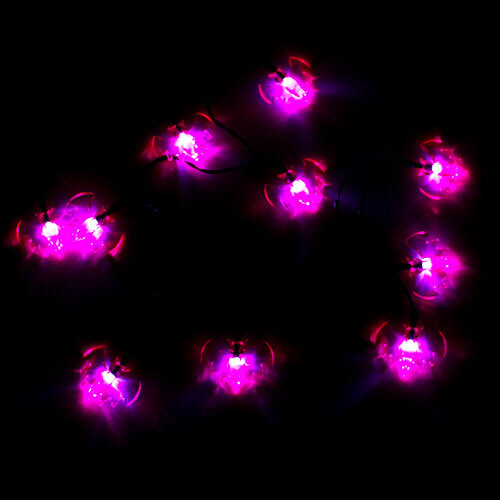 Halloween Bats LED String Lights Sold: Single Total length: 140cm / 55Inch approx Each bat size: 4cm / 1.6Inch approx Material: Plastic These battery operated String Lights feature 10 LED lights per set. Requires 2 x AA batteries. Not Included. For indoor use only.